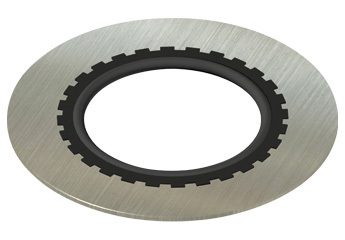 Bonded seals, or sealing washers are a modification of the standard washer design. Common washers are used to help evenly distribute the load of the bolt. With a sealing washer you benefit from a molded elastomer lining which helps prevent fluids from leaking through bolt holes. Temperature ranges are limited by the elastomers performance range. Other materials are available, please contact Hi-Tech Seals sales staff. Additional sizes and torque information available through Hi-Tech Seals.